Oh, I know what you think of me. Don’t pretend I don’t. You think of me as a goofball. Yeah, you consider me a lovably lurpy, lumpy guy who stumbles about, writing whatever pops into my head at the moment, only to be forgotten moments later. And you know what? I’d be very angry at you for thinking that, if it weren’t a perfectly accurate description of how I actually am. At least, that’s how I am most of the time. 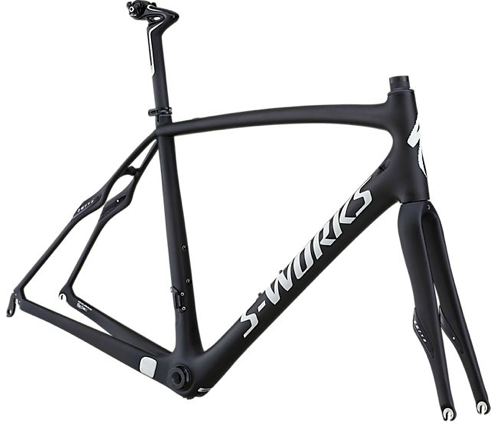 Announce that the latest prize in the already outrageously prize-laden Grand Slam for Zambia 2 an eye-poppingly beautiful, fast, and comfortable dream bike: The Specialized S-Works Roubaix SL4. Prove that, from time to time, I actually think ahead and make plans and scheme and strategize and stuff. 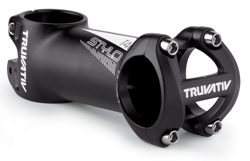 As if the Grand Slam for Zambia 2 weren’t already prize-laden enough (including an S-Works Stumpjumper FSR Carbon 29er, a trip to NYC to see the SRAM pART show, three trips to Moab for the Africa in Moab experience, a Miir bicycle and six $134 gift certificates from Twin Six), we’re now adding an absolute dream road bike: The Specialized S-Works Roubaix SL4. 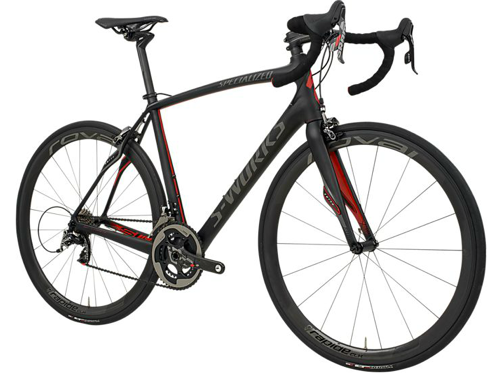 When I call this $8000 beauty a dream bike, I’m not just using hyperbole. See, I actually have gotten to ride one of these. In fact, I got to ride it twice. Back in September, I got to ride one during the 2012 Levi’s Gran Fondo, which may be the ultimate perfect course for this kind of bike. At least, it felt pretty darned perfect to me. This bike is light and fast. And yet, it manages to be incredibly comfortable and smooth. By the end of a long day (right around 100 hilly miles on a mix of good and not-so-good road in and around Santa Rosa, California) in the saddle, I had made up my mind: there is no road bike in the world I would rather own. But that was the second time I had ridden one of these bikes. The first time was when Specialized joined the good folks at Honey Stinger for a group ride in Salt Lake City during the Outdoor Retailer Show. 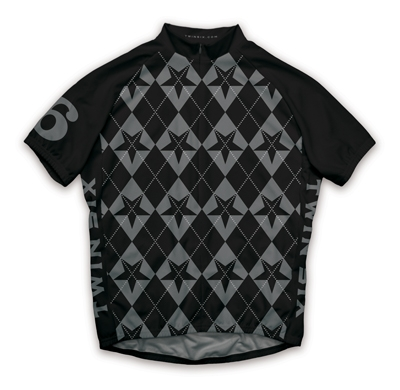 I got to borrow a new Roubaix for a ride up Emigration Canyon — a popular climber’s delight of a road ride. 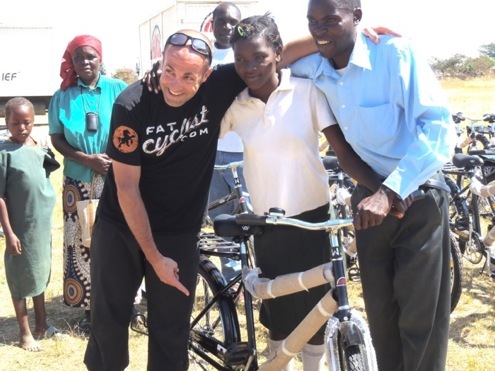 By the time I had been on the bike for twenty minutes, I had decided: I have to make one of these bikes a grand prize in the World Bicycle Relief contest I was planning to do later in the year. Yes, back in June I had already started hatching the scheme you are seeing come to fruition right this second. So, let me be seriously serious for a second: I really do love this bike. I don’t have one, and I wish I did. And I’m going to be greenly envious of whoever winds up winning this bike. 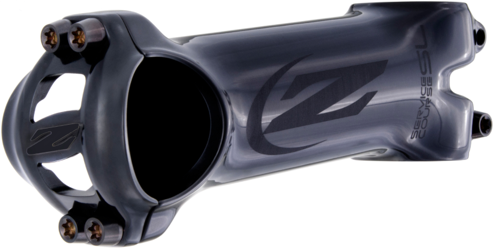 As with the S-Works Stumpy FSR 29er that’ll be given away as part of this contest, the prize is a collaboration between Specialized and SRAM. 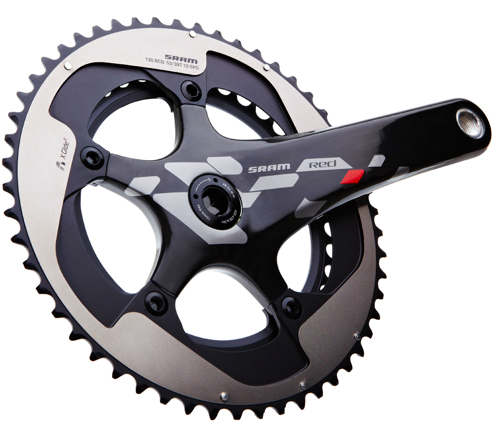 Which is to say, Specialized has provided the frame, and SRAM is providing the components. I love that understated, elegant matte-black carbon treatment. 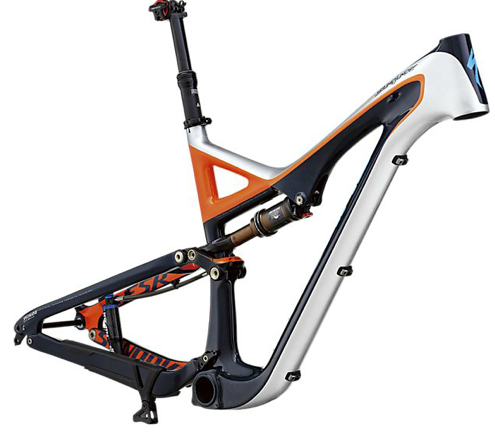 This bike is gonna be gorgeous. Oh, but we’re not done with the whole custom setup thing. No. 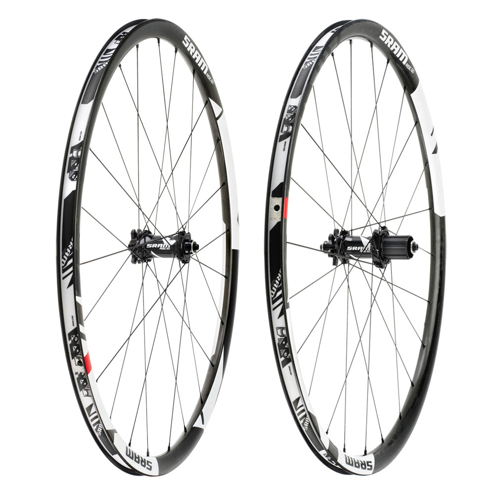 Cuz you’re going to need a set of wheels. And you know what? 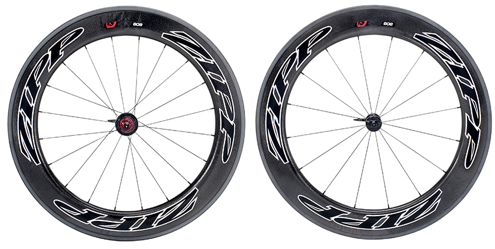 You can choose any Zipp wheelset you want. Hey, it’s a tough decision, but someone’s gotta make it. Maybe that someone will be you. 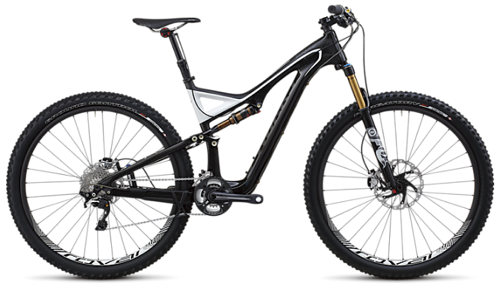 Obviously, this is a pretty amazing bike. Perhaps even more obviously, this is one of an incredible number of amazing prizes. Crazily, there are going to be even more astonishing prizes that will be given away as part of this fundraiser. 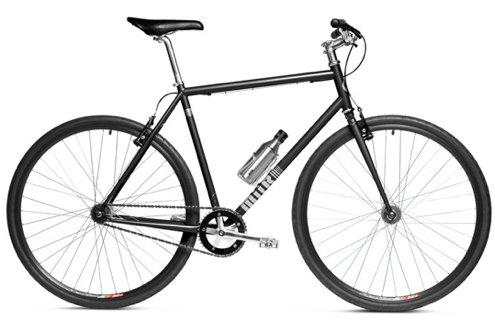 And all you have to do to be entered to win this bike — and all of the bikes and other prizes — is donate at my Grand Slam for Zambia 2 page. (Click here to go to that donation page). 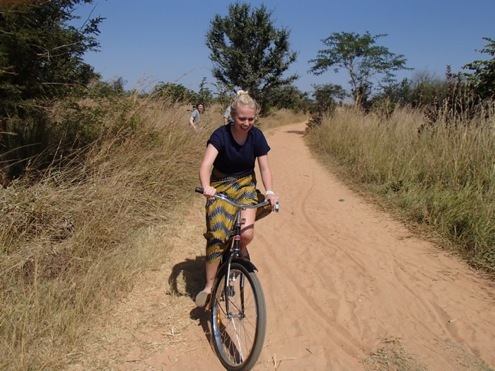 It’s because I’ve been to Zambia, and I’ve seen what a huge difference a bike makes in a person’s life there. That improvement is immediate and wonderful and lasting. 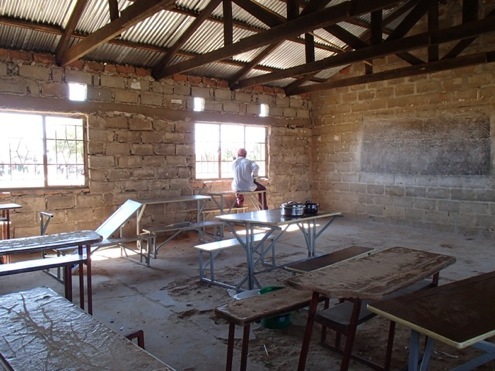 And I’ve seen for myself that World Bicycle Relief is doing a fantastic job of doing this work thoughtfully, of making our work and donations count. In other words, I’m doing this because WBR is doing good work, and I believe in it. And also, because I really love giving cool stuff away. So, click here to donate. Thanks, and I hope you win. My two brothers and our families haven’t exchanged gifts for many years; instead we each pick a charity and make a donation. The past two years, my wife and I have donated to WBR. Thanks for bringing it to our attention and showing us firsthand the good WBR is doing. I look forward to meeting you, the Hammer, and the folks from WBR. I’m hoping “awesome” turns out to be an understatement! Thanks for all you do (on many fronts) and for giving me this opportunity to see a small portion of how WBR makes it all happen. I really love Paul’s family’s idea of making donations on behalf of each other for Christmas. Really, it feels a lot more true to the intent of the holiday than a gift card to Chili’s. My sisters and parents can expect a similar gift-giving strategy from me this year. If you’d like to do the same, click here to make a donation. And if you donate $134 (the cost of a bike) or more, WBR will send a card, including a personal message from you, to the person you’re donating on behalf of (The Hammer got her card last week). And — just like Paul — even though you’re donating on behalf of someone else, you may still win an incredibly cool prize. 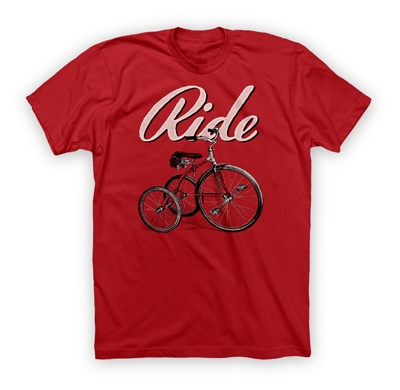 This week is going to be all about giving away bicycles. What does that mean? Well, it means that on Tuesday, Wednesday, and Thursday this week, I’m going to reveal a new prize that will be given away as part of Grand Slam 2, and each of those prizes will be bicycles. If you take the time to do the math, I have just told you that there will be three different bikes given away as part of this contest. And let me assure you: you will desperately want at least one of them. I’m incredibly excited to reveal these latest prizes in what I am absolutely positively confident is the biggest giveaway I have ever done. By a factor of about five, I think. 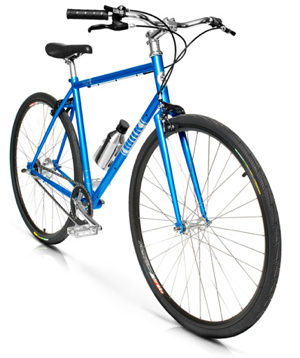 Today’s post is also about giving away bicycles. But it’s about the reason we’re doing this big ol’ contest in the first place. 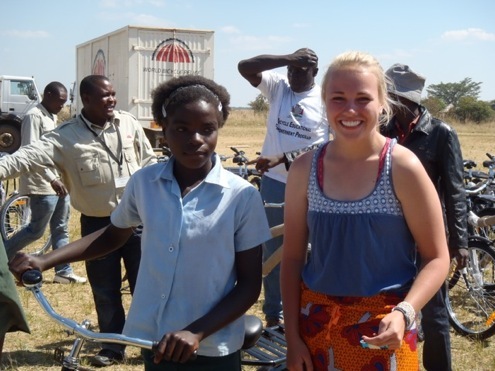 Today’s post is about the day I got to visit a school in Zambia and witness the massive change a bicycle makes in a child’s life. It’s also the day I — on behalf of all of you — got to give away the last 100 bicycles of the 1000+ we bought in last year’s fundraiser. 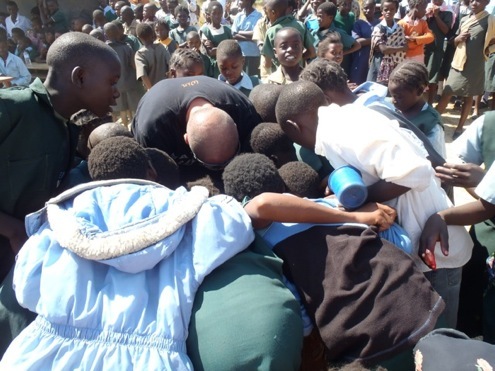 I loved every single day of my visit to Zambia. But there was one thing I really cared about. 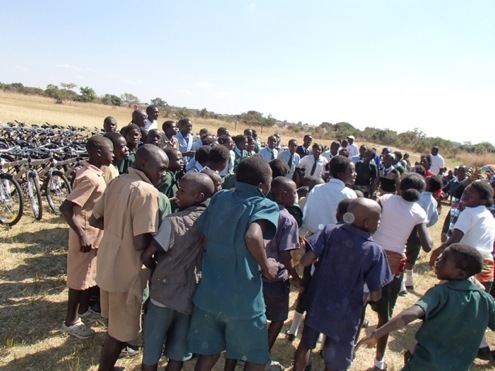 One thing I was looking forward to: going to a school and giving away some of the 1000 bikes earned by the Grand Slam for Zambia. Finally, that day was here. 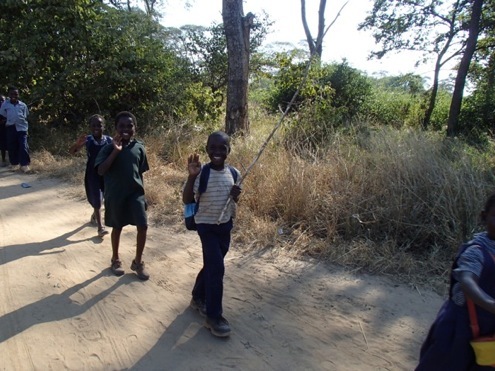 We started by walking a kilometer or so on the dirt roads the kids walk to get to school (the kids walk anywhere from 2 – 10 Km (up to 5-6 miles) one way, each day to get to school. We had to make way for oxen teams and goats. We also had time to look at the cotton and corn crops, as well as the banana trees growing on the sides of the road. Such a different range of plants from what we’re used to. We then road our bikes a few more kilometers to the schoolyard (our guide didn’t want us worn out by having to walk as far as these kids do every day), where we were greeted by song and dance by hundreds of kids, as well as all their parents and the teachers for the school. I have lost track of how many times I have listened to this song. Incredible voices. 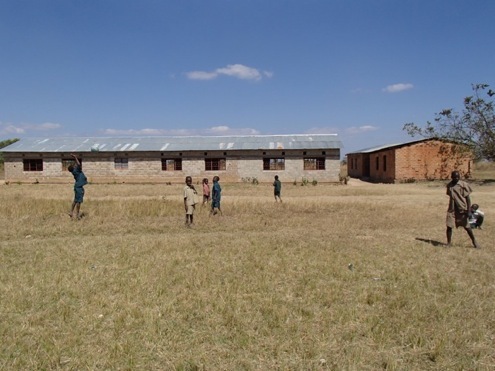 If you look closely at the kids playing soccer in the field, you’ll see the ball, which is made of plastic bags wrapped up in twine to hold a basic ball-like shape. That’s the “chalkboard” you see on the far right of the photo. Also note that there is no glass in the windows. Which was fine when we were there (the weather is perfect during their winter non-rainy season, about 75-80 degrees). So yeah. The kids here don’t have a lot. Which means that a day where they will be receiving 100 bicycles is a little bit like if everyone in your neighborhood was notified they had won the lottery. Remind the children receiving the bikes that they have important commitments that come with these bikes. Tell the children to remember that bikes are also for fun. Here’s my speech; you decide whether I did OK.
And then it was time to give bikes away to the children. Which brings up the question: who gets bikes? 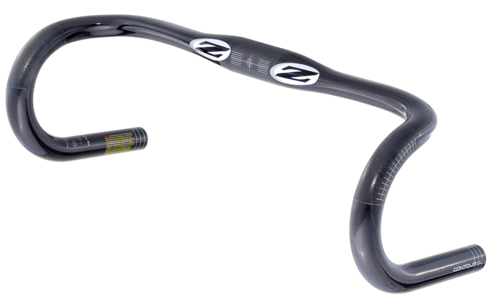 Well, that’s one of the really fantastic things about World Bicycle Relief. They’re really smart about that very difficult decision, since — for now — there are a lot fewer bikes than there are children who need them. 70% of the bikes go to girls. This is because girls take the improved opportunities a bike brings and pour the improvements back into their family and community. Boys tend to be more selfish (I’m talking about a Zambian cultural phenomenon, though I think most people would agree it’s more of a global thing. Sorry guys, but we all know it’s true). Distance and need factor in. Children who live further from school are more likely to get a bike, as are children in families with special needs (like if there’s only one parent present or the family is especially poor). The community makes the decision. In order to avoid having it seem like an uninformed group of strangers decides who gets the bikes, the community leaders take the guidance of WBR and then make the decisions of who gets the bikes. The bike comes with a contract. I haven’t seen the contract, but it essentially says that in order to keep the bike, the child commits to taking care of the bike and staying in school for at least two more years. And then, after the contracts are signed, there’s a big ceremony where the children get the bikes, giving an extra sense of importance and responsibility to what they are being given. 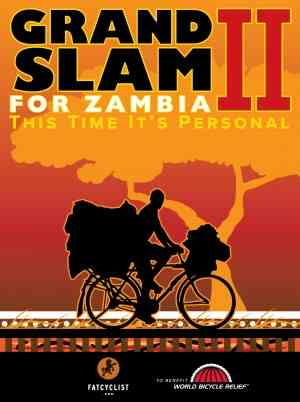 I’m pointing at the “Grand Slam for Zambia” sticker in this photo. Like most children, she will not remove the protective shipping material from the bike until it basically is ready to fall off. They want to preserve this present as new for as long as they can. 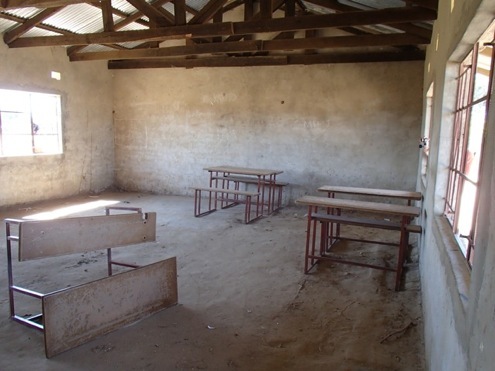 After all this, we said goodbye to the school, and along with one of the girls — Emily — who had just received a new bike, rode our bikes along the dirt paths back to her home. 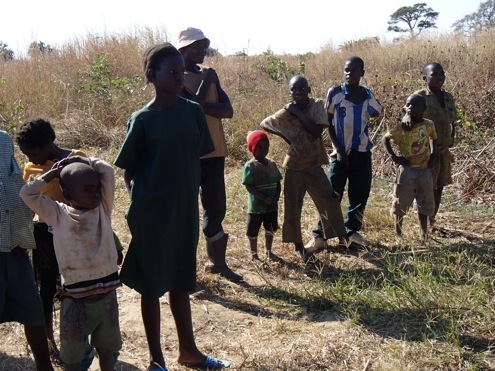 Then we talked with Emily (the sixth children of eight) and her family under a tree near her house. Emily told us she lives about 5.4 miles away from school, and until today, this meant about a two-hour walk, each way, each day. And that was after her morning chores of sweeping, gathering water from the well near her house, and cooking breakfast for the family. 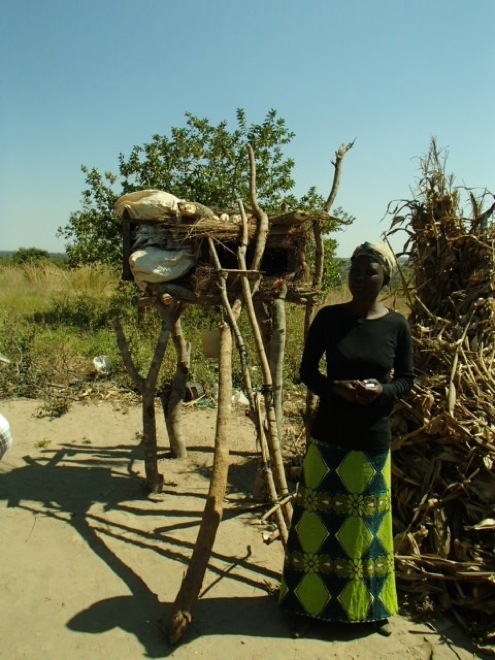 And when she got home, she’d still have to tend the garden and do her homework, as well as go for water from the well again. 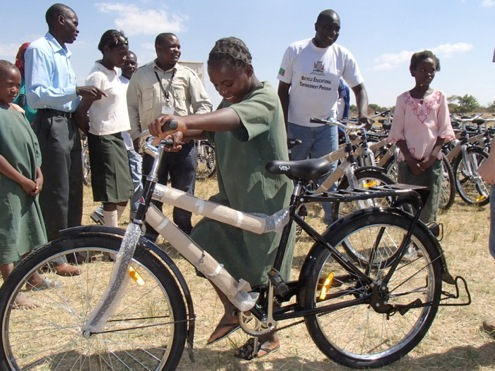 Obviously, this bike is going to make it possible for this girl to have a much better life, and not just in a small way. 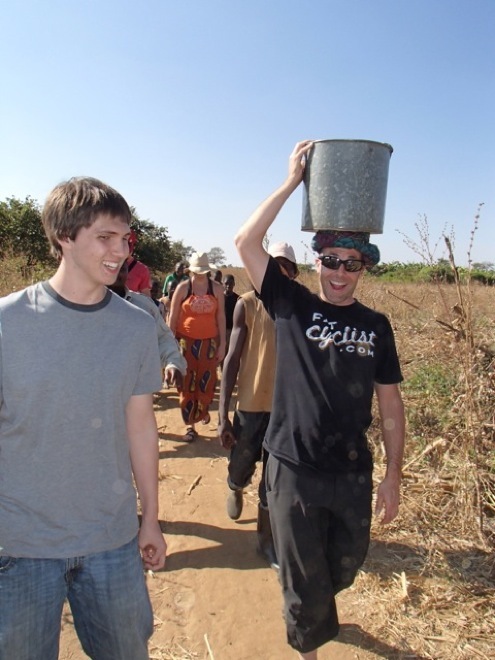 To see what it’s like to draw water from a well, we all walked with her to the well — about 1/2Km away and drew water from it. Before long, there was a crowd of about twenty people from the village. They were all laughing to see a couple of very strange things. First, that white people were drawing water for them. And second, that men were drawing and carrying water (which is clearly women’s work). The Hammer was better at it than I was. 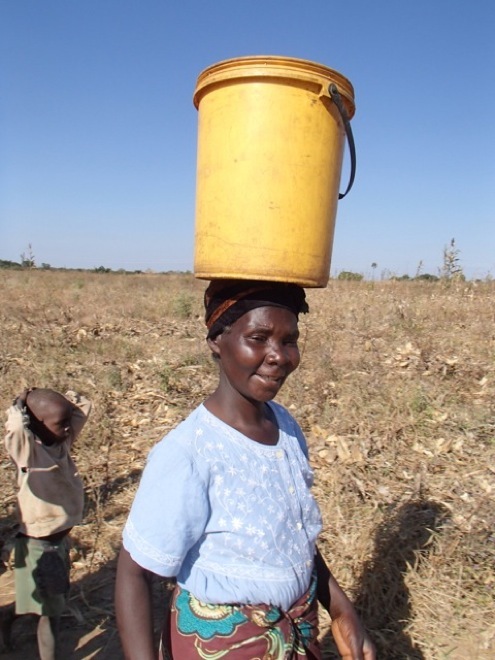 That’s some serious skill she’s exhibiting, but it is s-l-o-w work walking a bucket of water from the well to home. Being able to put that bucket of water on the back of her bike from now on is going to improve not just Emily’s life, but her whole family’s life. 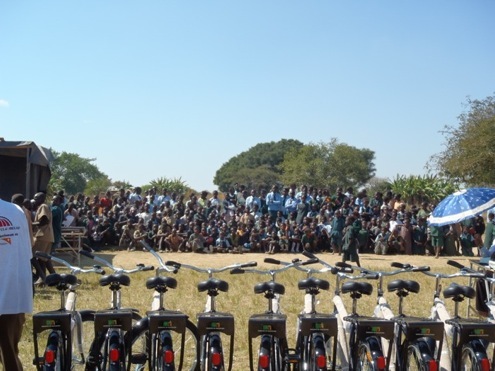 There are 1000+ people whose lives are vastly improved, thanks to the bikes we gave away in 2012. I’m excited to work with you to give away even more in 2013. A Note from Fatty: This will be my last post ’til after Thanksgiving. 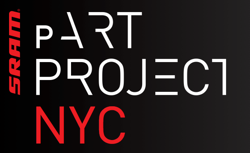 Meanwhile, remember that if you want a chance at winning the trip to NYC to see the pART show, you need to donate by midnight, Tuesday, 11/20. Thanks! I have an annual tradition (e.g., 2011, 2010, 2009, 2008, 2007) of writing a post around Thanksgiving time, describing something I’m thankful for. 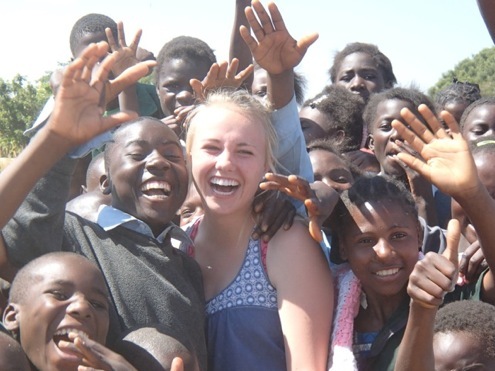 This year, that post will take the form of a story about one of the days I spent in Zambia this summer, getting to know a group of caregivers: people who spend their time helping others. 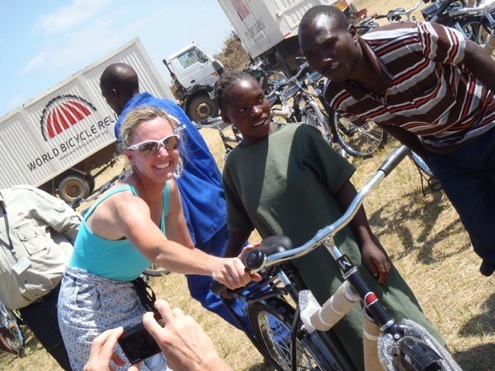 You see, schoolkids aren’t the only ones who are eligible to receive bikes from World Bicycle Relief – just the most prominent one. 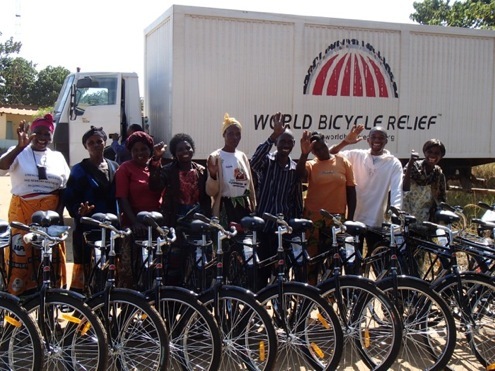 World Bicycle Relief also provides bikes to volunteer caregivers who take it upon themselves to look after the sick and poor in their community. We started the day by meeting at the district office where the Caregivers meet — a group of about a dozen adults who volunteer their time to visit AIDS patients, orphans, and the sick in their neighborhood. We were a little bit worried it was going to be a very sad-feeling, depressing day. Instead, when we arrived at the office, the caregivers were outside singing and dancing for us, and having us join in. This wasn’t the first time we had been invited to join in singing and dancing with a group of kind-hearted Zambians, and we were starting to love this ice-breaker. The caregivers all had interesting, very emotional stories of their own about why they became caregivers. One was because she was an orphan herself. One was because she wanted to do the right thing for kids in her community, with the hope that if her kids ever needed help, the favor would be returned. And they were there to give hope to people who otherwise would feel hopeless — to show the sick that someone cares about them. 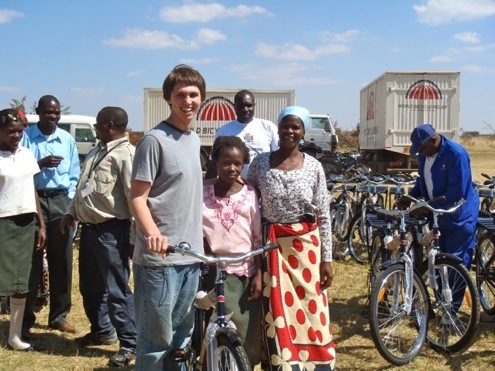 All of these people had a very difficult time helping others before they got bicycles from World Bicycle Relief. Getting the 3+ miles to a client’s house (the caregivers called the people they are in charge of seeing “clients” [see Simon's story for the thinking behind this]) without a bicycle took an hour. Getting to a clinic to get medicine for one of their clients took more time. And emergencies were almost impossible to respond to. 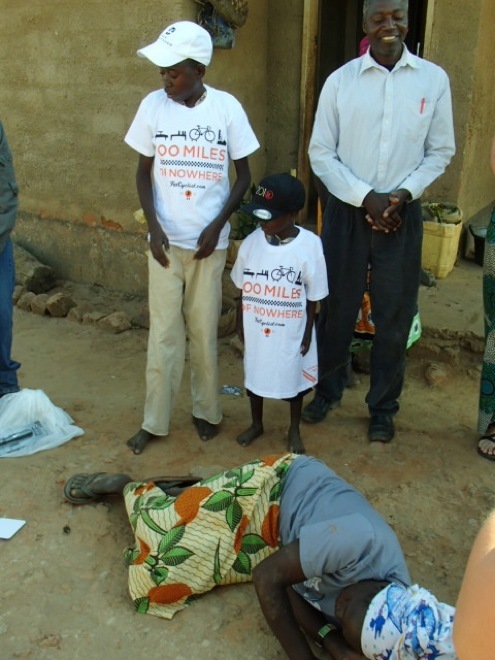 Theresa, one of the women we talked with, described how having a bicycle made a huge difference. She told a story of how one time she rushed to a client’s home, gave the lady in labor a ride to the clinic on her bicycle (! ), then got a call while she was there from another client and went to take care of the sick child there. 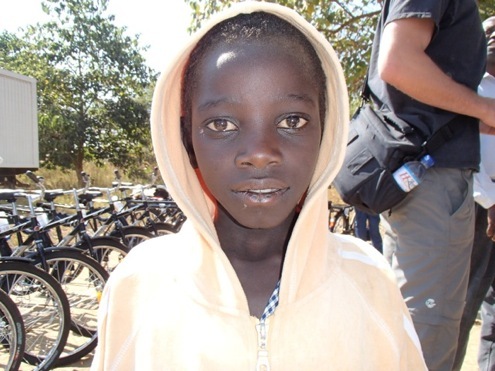 She couldn’t have done any of this without one of the bikes World Bicycle Relief provided her. We got ready to head out, with the plan being that we would visit a caregiver’s home to see what their homelife is like, after which we’d be visiting with some of their clients, too. But as we were getting ready to go, school got out, and a bunch of curious kids came over to see us. They seemed to like having their picture taken, saying, “hello” in English to us (kids and adults alike we passed during the day always waved and said “hello” — it was the friendliest place we’ve ever been). 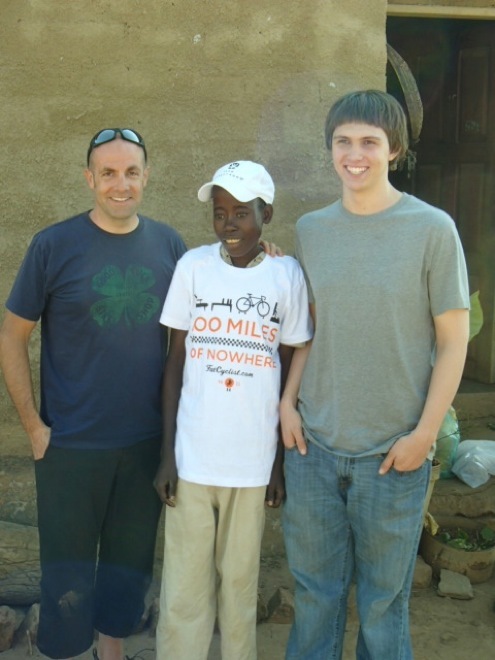 The Swimmer and Brian (who’ll be joining us for the Africa in Moab trip) get photographed with schoolkids. 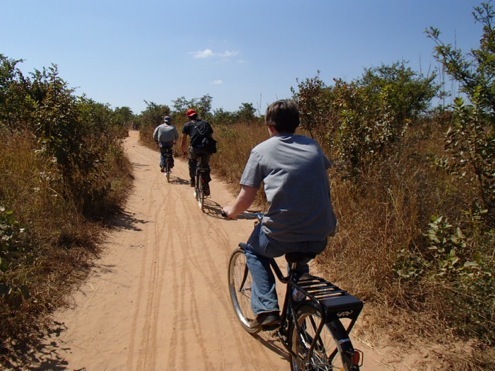 Brice rides a very typical road in rural Zambia. The Swimmer navigates through a patch of deep sand. 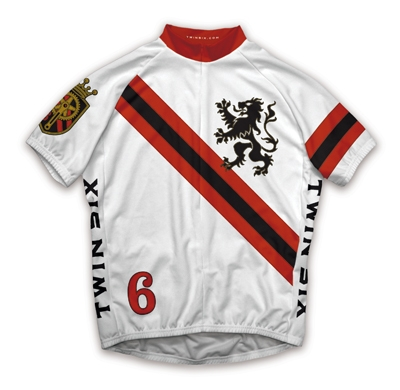 As we rode, we’d wave to kids walking home from school. Every single one of the people we waved to waved back. While we were heading to the next caregiver’s client, I saw a boy walking in the same direction we were riding. On a hunch, I gestured to the sturdy rack on the rear of my bike. The boy nimbly hopped aboard before I even had a chance to slow for him, and with such smoothness — he didn’t disturb my balance at all – that I knew he had practice doing this. He stayed aboard ’til his path went a different way than mine, then hopped off. For the rest of the trip, I made a point of giving as many people (both kids and adults) rides as I could. It was in fact one of my favorite parts of the whole trip. They have no running water or electricity, but act like they live in a castle. 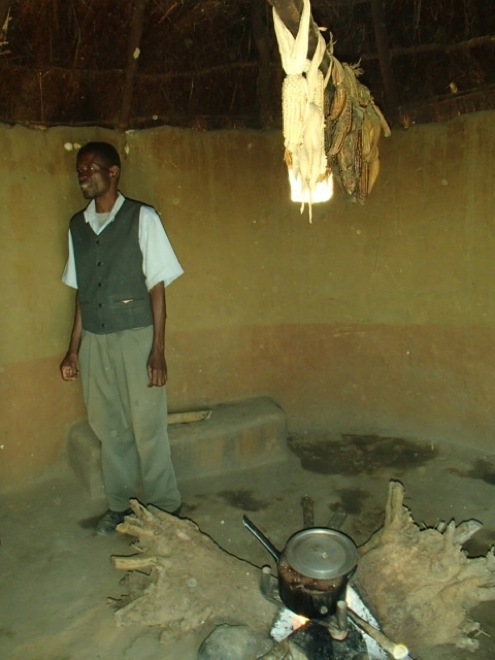 Lackson was very proud of his house, that he had a garden that feeds his family, and that he is able to be a caregiver to those who have less than him. 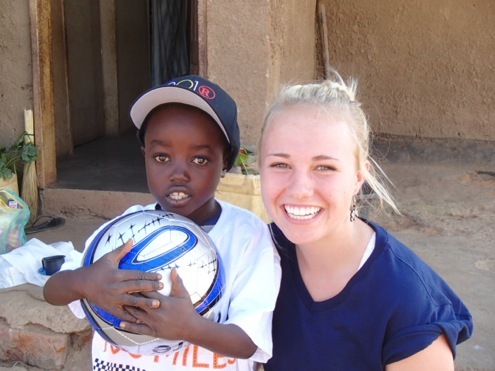 Lackson is an amazing, generous man — an incredible example. Juliana had the nicest house of any we saw that day; World Vision (a large charity) had built it for her. It had 3 good-size rooms, as well as a tin roof and a concrete floor. Here she is with her grandson Louis, Dave (the head of the caregiver’s association), Lackson, and Dulani. Next it was time to head out to see one of Theresa’s clients, a man named Godfrey who is living with AIDS. 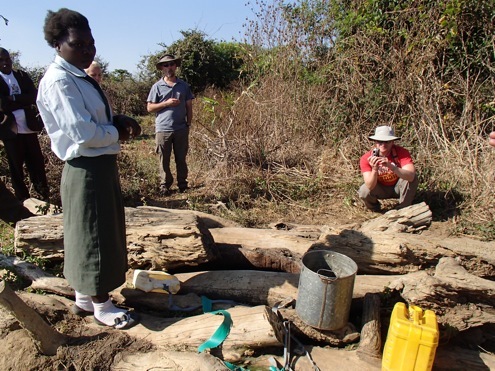 Godfrey took us to the bore hole (well) where the community gets water. He’s lucky; it’s less than a half-mile from his home. 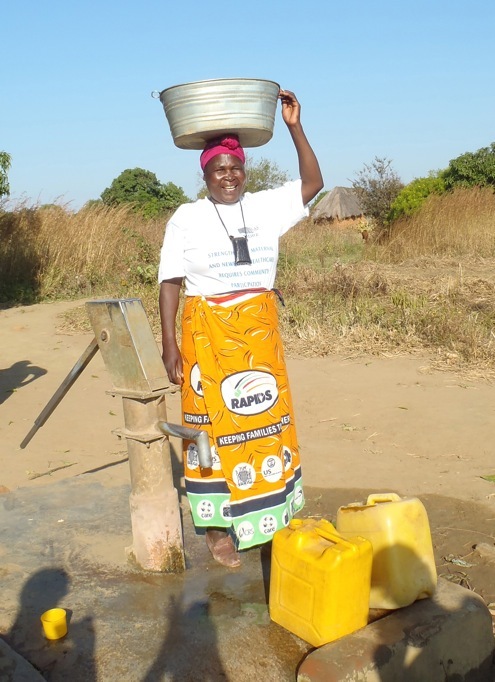 Theresa showed us what it’s like to be strong by lifting the basin full of water (probably 50 pounds), putting it on her head, and walking it back to Godfrey’s home. Theresa talked with us a little about what caregivers do, which was pretty much anything that needed doing. Fetching water, bringing food, going to the clinic for medication (or giving the client a ride to the clinic), or — often — being a source of tough compassion: making sure that people who might otherwise give up, don’t. Make them understand that their clients understand that taking their medication will make a difference. That they shouldn’t just lie down and wait to die. Lackson and Theresa were both happy to do the work. And by “happy,” I mean that specific word. They weren’t just OK with doing a good deed because it needed doing. They were genuinely happy people. This blog has put me in a position to experience some amazing things. But by far the very best thing I’ve seen is what happens when people help each other. Think about it: Good companies help me put together great prizes to make contests interesting. Then you and I help World Bicycle Relief by donating to them. 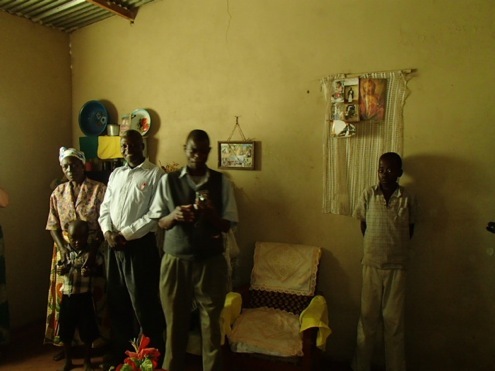 World Bicycle Relief helps caregivers take better care of their clients. People live longer. People live better. All because people help other people, whether they know each other or not. I’m grateful for being able to witness this. Partially because it’s good to see and be a part of it. And also partially because I’m a pretty selfish person at heart, and am not very proud of that fact. When I so often see the good that can be done by those who aren’t selfish, I at least sometimes am able to put aside my ordinary self, and be more like those I admire. So, for those who help — no matter how you help, or who you help: Thank you. You make a larger difference than you know.